The author of "Everyday Matters: A New York Diary" teaches readers to open their lives to creativity and fulfillment by relearning how to draw. Handwritten and illustrated in color throughout. (More pictures at parkablogs.com) This book is full of pointers on drawing, on creating something on paper with ink. There are a lot of ideas on what to draw ,when (now) to draw but not how to draw. Every page feels like a call to put pen to paper. The text is typeset in a handwriting font, which might make it hard to read for long periods of time. The good thing is this book can be picked up and read in portions from any page. It's a very inspirational and motivating book to read, especially when (More pictures at parkablogs.com) This book is full of pointers on drawing, on creating something on paper with ink. There are a lot of ideas on what to draw ,when (now) to draw but not how to draw. Every page feels like a call to put pen to paper. The text is typeset in a handwriting font, which might make it hard to read for long periods of time. The good thing is this book can be picked up and read in portions from any page. It's a very inspirational and motivating book to read, especially when in a artist block. As I finish the book, I begin to see objects in life differently. Everyone can have that creative license, as suggested by the book title. Currently, there are over 60 positive reviews on Amazon. The negative ones claimed the author had political intent in the book. Since discovering Danny Gregory's book, I've filled two illustrated journals. I really love doing it, too. I find that when I take the time to "illustrate", my memory of that particular event/place/whatever is so much sharper. I love Gregory's spirit and enthusiasm; I feel like he really believes in me, personally. I never would have discribed myself as "creative" before owning this book, but when I look back at my journals and the one I'm working on now, I think I should maybe reconsider :) Tha Since discovering Danny Gregory's book, I've filled two illustrated journals. I really love doing it, too. I find that when I take the time to "illustrate", my memory of that particular event/place/whatever is so much sharper. I love Gregory's spirit and enthusiasm; I feel like he really believes in me, personally. I never would have discribed myself as "creative" before owning this book, but when I look back at my journals and the one I'm working on now, I think I should maybe reconsider :) Thanks Danny for the permission to just do it and love it and love what I've created :) I'm glad to own this book, because it's something that I like to keep near-by and revisit often. It's also a beautifully illustrated book, nicely laid-out, and very inspiring in terms of getting started artistically. While I didn't always agree with the author, it was a good, thought-provoking book on using drawing to bring more creativity to all aspects of your life. It definitely got me thinking and writing about some deeper things. Great book on giving yourself permission to dabble--or even push yourself more seriously--in various artistic spheres. Gregory will teach you to draw (hint: you already know how! ), and to journal, giving you your own "creative license" to do what you like and embrace your inner artist. Whether you're a frustrated, failed, first-time or burnt-out artist, this book will help get your creative life back on track. Like he says: "Art ain't fancy or special. True art is democratic and human." It's abo Great book on giving yourself permission to dabble--or even push yourself more seriously--in various artistic spheres. Gregory will teach you to draw (hint: you already know how! ), and to journal, giving you your own "creative license" to do what you like and embrace your inner artist. Whether you're a frustrated, failed, first-time or burnt-out artist, this book will help get your creative life back on track. Like he says: "Art ain't fancy or special. True art is democratic and human." It's about expressing yourself, whether that's to millions or just to yourself, alone with your notebook. So get out there and grab your creative license and DO IT! I started drawing little humorous pictures thanks to this book, and decided I wanted to start painting. So I went out and bought some acrylics, some brushes, and some paper and got started. Simple as that. You don't have to study great art to start making art. (But if you want to eventually make great art, it's probably a good idea to learn from the masters.) Get a copy of this book. It will definitely make you feel better about your drawing/painting/writing/other visual and/or artistic habits! I just wanted to say "amen" a whole lot while reading this book by Danny Gregory, which basically is one big argument for why we should still be artists and why being an artist has gotten such a bad rap in our society. We have been trained by our society several tragic things: 1) Creativity is a you-have-it/you-don't issue. 2) Great artists are great because they were born with a lot of talent. 3) Art only has value if the artist makes money off of it. 4) Art is a selfish venue/not a real occupati I just wanted to say "amen" a whole lot while reading this book by Danny Gregory, which basically is one big argument for why we should still be artists and why being an artist has gotten such a bad rap in our society. We have been trained by our society several tragic things: 1) Creativity is a you-have-it/you-don't issue. 2) Great artists are great because they were born with a lot of talent. 3) Art only has value if the artist makes money off of it. 4) Art is a selfish venue/not a real occupation. The book is basically a pep talk to get the cautious reader to start drawing and exploring his/her creative self, and I enjoyed it immensely. There are a lot of ideas in here, and I think everyone would be better off to give it a go. 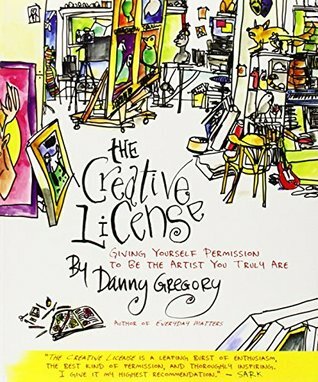 Danny Gregory, the author of “Creative License” has carved out a unique niche for himself. Benefitting from the pervasive spread of the internet, Gregory created an influential blog years ago that described his re-entry into the practice of drawing for personal pleasure. And through his books and his blog (and now, his newly monetized online instructional website (“Sketchbook Skool”), he has been quite successful in doing so. 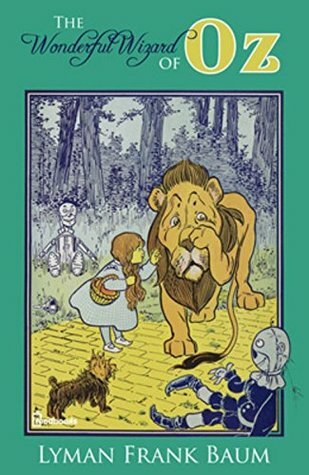 I first read this book several years ago. This is my second reading. I Danny Gregory, the author of “Creative License” has carved out a unique niche for himself. Benefitting from the pervasive spread of the internet, Gregory created an influential blog years ago that described his re-entry into the practice of drawing for personal pleasure. And through his books and his blog (and now, his newly monetized online instructional website (“Sketchbook Skool”), he has been quite successful in doing so. I first read this book several years ago. This is my second reading. I enjoyed it then and I enjoyed it again this time. It is a very practical book, not about the specifics of drawing, but in inspiring the reader to a creative practice. And Danny Gregory is quite the cheerleader. He is out to make sure that nothing, and I mean nothing, stands in the way of you and a sketchbook, or more broadly, you and your creative impulse. I am a fan of this book and others by Gregory. And of Danny Gregory himself. He is boyishly enthusiastic and relentlessly positive on how a creative practice will enhance your life. And his books, all slightly different from each other, generally convey the same message: there is an accessible, creative person inside everyone. This book tells you how to start an art journal and gives you mini-assignments so you can get off your but and trust that there is a creative genius inside of you, YES YOU! i'm enjoying the experience of "drawing" and thinking about drawing again. I'm really looking forward to work on some art journaling very soon. This was nice--very enjoyably nice--although it unleashed my inner conundrum. That snippy, snarky "Left Brain" voice insists on damning me whether I do or I don't, so this time it reminded me of the pointlessness of reading about drawing instead of doing the drawing, and LB is such a trickster that she used Gregory's cheerfully encouraging style to really lay it on thick. This book is loaded with excellent suggestions for how to see and communicate our observations...No Matter What. Press on! Pe This was nice--very enjoyably nice--although it unleashed my inner conundrum. That snippy, snarky "Left Brain" voice insists on damning me whether I do or I don't, so this time it reminded me of the pointlessness of reading about drawing instead of doing the drawing, and LB is such a trickster that she used Gregory's cheerfully encouraging style to really lay it on thick. This book is loaded with excellent suggestions for how to see and communicate our observations...No Matter What. Press on! Persevere! Do the work, and enjoy the process! I can see this book as really being a lifesaver for someone who's drowning in midlife (or quarter-life) crisis and ready to finally resuscitate their "Right Brain" and doesn't know how. If grasping for the holy grail--Betty Edwards' Drawing on the Right Side of the Brain--is too intimidating, then Gregory's Creative License may be the ticket. Danny Gregory has spent a life-time with art, artists, art products, advertising, and discussions about art. 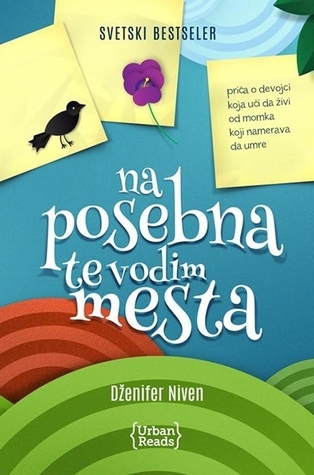 This book is specific to problems many creative people face - being “ok” with creativity. Whether the reader’s focus is on sketching, crafting, writing, painting, etc, the focus of this book is giving oneself permission to be that creative person we hope to be. Couldn't finish it 2/5 stars. The first book read for my 2010 reading list. A older selection that jumped out at me in a strange time, after the Holidays, when I received a plethora of books to read. I bought this book in 2006 after reading select passages in a HOW magazine. I was in the early years of design school and trying to regain my confidence to draw after year away from the art board. I grabbed the book and shortly realizing the book was gauged for someone entering the art world for the first time and not some who k The first book read for my 2010 reading list. A older selection that jumped out at me in a strange time, after the Holidays, when I received a plethora of books to read. I bought this book in 2006 after reading select passages in a HOW magazine. I was in the early years of design school and trying to regain my confidence to draw after year away from the art board. I grabbed the book and shortly realizing the book was gauged for someone entering the art world for the first time and not some who knew how to draw and just needed a boost,so I skimmed through the back half for a few day and relegated the book to depths of my book shelf. At the time I took from the book to journal everyday and that advise helped. But, now four years out and my art projects are starting to grow I need another boost and with my reading list for this year calling for me read, of the twelve book goal, two books in my field of art and design this book jumped off the shelf at me. To bottom line it, which is a phrase I hate to use, if you are looking to get into art grab this book it is great. If your like me and need a pep talk borrow it but you don't need to buy it. It's not that I didn't enjoy the book I did I just think the real joy of this book would be me giving it to someone to blossom their art journey. I did get a lot of good advise and took a lot of influence away from the book. The great encouragement and advise I took was: to 'be' and to grow and explore and be willing to fail and learn and work hard. Which is what I am doing and hope to do. This book gave me the boost I needed and is great for artist starting out. I dug the author and his writing and will look for more of his work in the future. What can I say that others haven't said? If you have the creative urge to draw but can't get past some block, this book will help you out. I was constantly drawing as a child, graduating to water colors & pen and ink in adolescence. Then I entered the world, felt my art wasn't good enough, and stopped. Years later, I still have that quiet urge to draw, to paint, to simply create things of aesthetic value. All these years, I've been a little down on myself for not being creative, not being go What can I say that others haven't said? If you have the creative urge to draw but can't get past some block, this book will help you out. I was constantly drawing as a child, graduating to water colors & pen and ink in adolescence. Then I entered the world, felt my art wasn't good enough, and stopped. Years later, I still have that quiet urge to draw, to paint, to simply create things of aesthetic value. All these years, I've been a little down on myself for not being creative, not being good enough when I tried, and for giving up art. "Creative License" addresses all of these issues and more. It's a fun read and I devoured it rather quickly. I checked it out from my local library, but believe I will purchase a copy so I can revisit it often. The first major takeaway from this book is the best tip I've ever received. Honestly. Ready for it??? Here it is: slow down. Draw more slowly. Take the time to truly see the subject you are drawing. I knew right away Mr. Gregory was correct. Even as a child, I would immediately become frustrated when my drawing didn't turn out looking like a masterpiece of realism. I have no patience. Every nugget of wisdom in this book I have taken to heart, and I believe others looking to discover, or return to, their creative talents will as well. Every word in Mr. Gregory's book feels honest & heartfelt. His willingness to share himself & his art in such genuine way makes me more willing to do the same. I think that is the real value of this book. I used to drawn a lot in my teens, but like many others then suddenly quit. Now, years later, I started drawing again... because of Danny Gregory's wonderful book. The book is incredibly inspiring and encouraged me to pick up the pen again, just draw and keep drawing. Now, I carry my Moleskine sketchbook and a pen *everywhere* and whenever I have a chance, I try to draw. It's fun, it's great... The only downside of this book is the all capital font which is designed to look handwritten. It takes I used to drawn a lot in my teens, but like many others then suddenly quit. Now, years later, I started drawing again... because of Danny Gregory's wonderful book. The book is incredibly inspiring and encouraged me to pick up the pen again, just draw and keep drawing. Now, I carry my Moleskine sketchbook and a pen *everywhere* and whenever I have a chance, I try to draw. It's fun, it's great... The only downside of this book is the all capital font which is designed to look handwritten. It takes some getting used to, but after a few pages it didn't bother me anymore although I can see how others might have a hard time getting through this book because of the font. I'd recommend this book to anyone. Not just people who draw or want to draw, but anyone who wants to be creative. Give Danny Gregory a try, he's great! For some reason the title of this didn't "click" with me, and it turned out to be more of a self-help type book than I was expecting. I give it three stars because I wasn't looking for a self-help book. My expectations aside, the main problem I had with the book was the hand-lettered print. This was very difficult to read (too small? all caps? too much on a page?). Otherwise, a nice but short bit on how-to-draw, and lots of encouragement on drawing more. Sort of a "there's no bad drawing, as long For some reason the title of this didn't "click" with me, and it turned out to be more of a self-help type book than I was expecting. I give it three stars because I wasn't looking for a self-help book. My expectations aside, the main problem I had with the book was the hand-lettered print. This was very difficult to read (too small? all caps? too much on a page?). Otherwise, a nice but short bit on how-to-draw, and lots of encouragement on drawing more. Sort of a "there's no bad drawing, as long as you're drawing" style. Plus ideas on what to draw every day, on how to get yourself to draw every day, gentle reminders to let go of self-criticism, success stories, etc. Plus, lots and lots of drawings - and his drawing style is humorous, detailed, yet not photo-realistic (which I personally find intimidating). I credit this book with getting me (properly) back into drawing after a hiatus of something like 15 years. I found it motivating, inspiring and maybe for the first time I felt that it was ok to just create, and was able to more or less put to one side my perfectionist tendencies. Danny encourages you to keep drawing but simultaneously go easy on yourself. The book isn't a formal drawing course but is more about learning to really truly see what you draw and to recognise the beauty and value in t I credit this book with getting me (properly) back into drawing after a hiatus of something like 15 years. I found it motivating, inspiring and maybe for the first time I felt that it was ok to just create, and was able to more or less put to one side my perfectionist tendencies. Danny encourages you to keep drawing but simultaneously go easy on yourself. The book isn't a formal drawing course but is more about learning to really truly see what you draw and to recognise the beauty and value in the every day. This book is awe inspiring. I have read it twice this year already. The author feels like a mentor and a friend. The tasks are comprehensible and manageable for even the busiest lifestyle and most procrastinating of individuals. The wording of this book is magical, as though this person is truly thankful to write a book about something he believes in so much. If drawing is not your prime creative endeavor, this book and it's soulful wisdom can be applied to anything with creative merit. Chances This book is awe inspiring. I have read it twice this year already. The author feels like a mentor and a friend. The tasks are comprehensible and manageable for even the busiest lifestyle and most procrastinating of individuals. The wording of this book is magical, as though this person is truly thankful to write a book about something he believes in so much. If drawing is not your prime creative endeavor, this book and it's soulful wisdom can be applied to anything with creative merit. Chances are though, you will find yourself wanting to doodle, at least a little bit. Danny Gregory is a force of nature when it comes to creativity and especially creating illustrated journals. This book works as a sequel to Everyday Matters, and has looks of support for the aspiring sketcher. His argument, if you can learn to drive a car, you can learn to pay attention to the ordinary aspects of your life and draw/write about them. There are lots of illustrations and motivational quotes, lots of suggestions for getting started and overcoming self-doubt. Let me admit that I did not really finish reading this book but already within the first day of reading it I had returned to some of my creative roots and began drawing again. I have since spent my weekends outside, enjoying the spring time while sketching into a composition book. I am thankful for having the courage to pick up this book and admit that I missed the creative side of myself. I will definitely pick this book back up and keep reading. Coming back to drawing, the book seemed an interest introduction, even if the amount of sketches and handwritting instead of typesetting were suspicious. How wrong could I be ... Danny Gregory's book is much more than a book about drawing or journaling, it's a journey into the world of creativity. Not only my love for drawing has reborn, but the mundane things now seem an opportunity to be creative. There are so many great ideas for nudging your creative muscles in this book. I didn't read it straight through, but jump around. I find it a great way to rest and think about something different at the end of the day. p.88 – Be good to yourself • Draw things that make you glad. Catalog your blessings. • Commit a space to your art. A corner, a desk, a shelf, a tackle box, a space that says, “What I make matters.” • Collect things to draw. Scour flea markets, thrift stores, hardware stores. • Buy yourself the biggest box of crayons available. • Reward yourself with art supplies. Meet a goal, buys a pen. p.91 – There are many different ways of writing in your journals. You could make spare little observations abo p.88 – Be good to yourself •	Draw things that make you glad. Catalog your blessings. •	Commit a space to your art. A corner, a desk, a shelf, a tackle box, a space that says, “What I make matters.” •	Collect things to draw. Scour flea markets, thrift stores, hardware stores. •	Buy yourself the biggest box of crayons available. •	Reward yourself with art supplies. Meet a goal, buys a pen. p.91 – There are many different ways of writing in your journals. You could make spare little observations about the scene: “Grey, overcast. Rumpled bed.” Or you could be more lavish, less stingy with your prose and write something evocative that the picture doesn’t communicate. 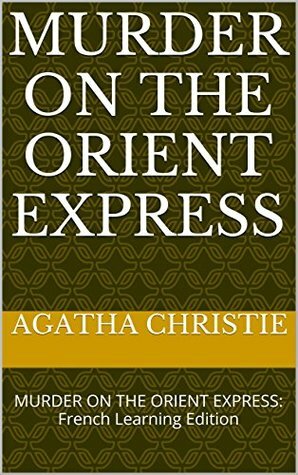 Or write about the meaning of the scene to you: “Why I am back at the gym again.” Or write down totally other thoughts that flashed though your mind as you drew: “Why I think we should go to Spain this summer.” p.94 – Take a walk with your eyes open, a walk just for seeing. Visit a new neighbourhood, walk through a park or forest. Along the way, collect an object that will be interesting to draw and will evoke your journey. It could be a branch, a leaf, a lost glove. p.134 – Inspiration comes to the inspired – Don’t wait for the muse to inspire you, to put you in the mood. That comes only with doing. So do. Once your pen is moving on paper, it’s easy to fill the page. Move a little bit and the muse will get behind you and help push. You have to take the first step. p.138 – Remember: Focus comes with confidence. Confidence comes with practice. Practice comes with commitment. Danny Gregory never disappoints, this is the second (or third) book I read from him and I find it so helpful. I'm a Graphic Designer and lately I find it hard to devote some time to drawing and keeping a journal which I used to do frequently for quite some time. Since none of the people I normally relate/hang out with consider themselves artists I don't get to have someone to question why i haven't been drawing lately, which I think is what I need sometimes. This book is like that friend that remi Danny Gregory never disappoints, this is the second (or third) book I read from him and I find it so helpful. I'm a Graphic Designer and lately I find it hard to devote some time to drawing and keeping a journal which I used to do frequently for quite some time. Since none of the people I normally relate/hang out with consider themselves artists I don't get to have someone to question why i haven't been drawing lately, which I think is what I need sometimes. 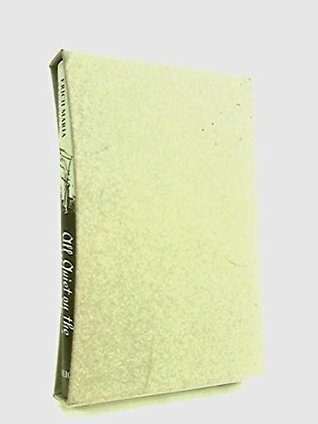 This book is like that friend that reminds you, to keep drawing and doing creative things; I always blame not having time on my very demanding job but, to be honest, is my lack of time management that causes me to be all over the place and not having free seconds to do what I really like to do. I needed the words on this book! This book was so much more than I thought it would be. Gregory connects the practice of drawing what you see with the practice of mindfulness, which really resonated with me. He offers a lot of insight on creativity, and gives a ton of suggestions to jump start yourself out of a rut. Plus there's some really practical advice on drawing. I may just buy a copy of this for myself. I'm also interested in checking out his other works. Danny Gregory claims that we are all artists, but that the world has convinced us that we are not and cannot be creative. His purpose with this book is to correct that notion. We can all be creative. We can all make art, it just takes practice. He gives some very practical pointers for how to start on this creative journey to becoming an artist. You just have to take the first step and just do it. Приємна красиво ілюстрована книжка, що мотивує вести мальований щоденник, щоб відкрити в собі художника. Ставлю чотири зірочки (багато), бо мене справді надихає. Але дещо втомлює "ручний" шрифт і необхідність стрибати по колонках на сторінці.